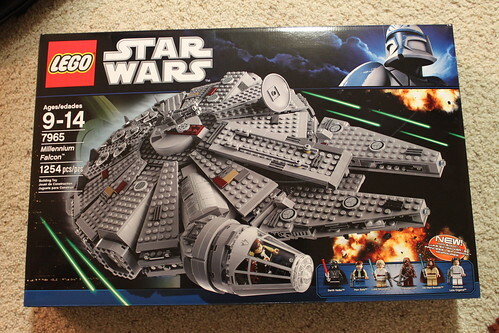 The first set that I purchased since being addicted to LEGO again is the LEGO Star Wars Millennium Falcon . My first impressions on just holding the box was “Wow!” The box art is pretty amazing and I especially like the blue tones LEGO used. The retail price for this set is $139.99. 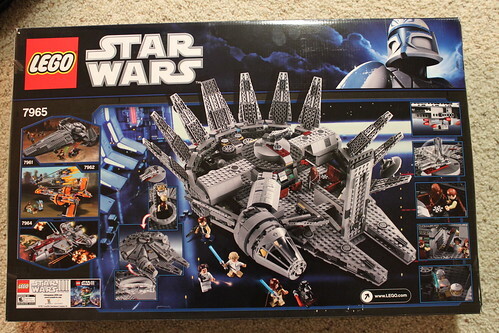 This set contains 1254 pieces and is recommended for ages 9-14. The box contains two instruction booklets and 15 bags that are numbered 1-6 and one unnumbered bag. 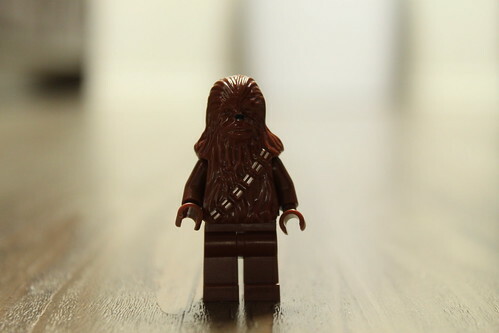 For Day 6 of the Star Wars Advent Calendar, we have none other than our furry friend, Chewbacca. 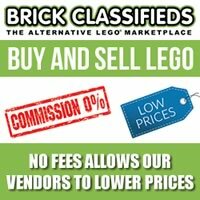 There’s nothing much to this minifig but the normal 5 pieces you can find in other sets including the LEGO Star Wars Millennium Falcon (7965) . 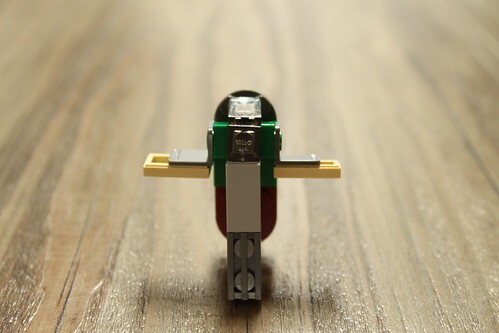 On Day 5 we get the best item so far in the Star Wars Advent Calendar, the Slave I. 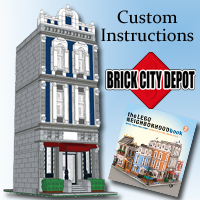 It is an absolutely amazing miniset and very accurate to the movies. 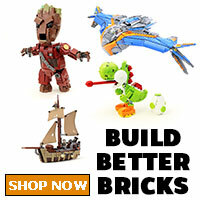 It takes 20 pieces to make and is a little tricky but once you look at it, you’ll go “Ohhh!!”. This one of my favorites so far and we’re only 5 days into it. The Lab (30111) is a LEGO Harry Potter set released as a part of The Sun newspaper promotion. I bought this set at Target for $3.99 as I was looking at the Christmas stocking stuffers. 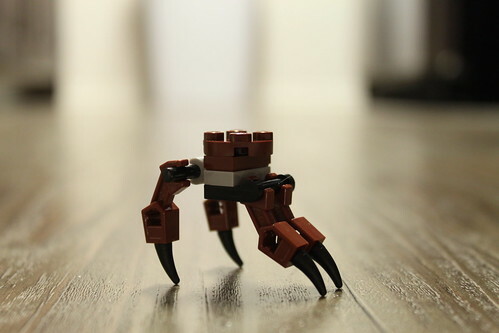 It consists of 34 pieces that also includes a spider and some other accessories. 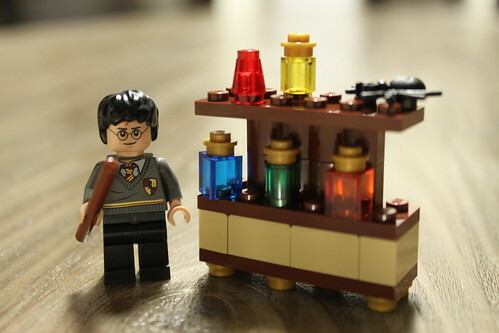 There is the usual Harry Potter minifig with his wand and in his school uniform. The main attraction is the potions cabinet. It has five different colored potion bottles that use the translucent pieces. There is also a hidden compartment that is accessed by lifting the shelves and inside there contains a letter and a horn. 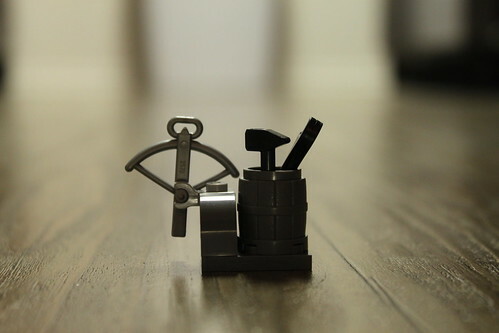 In conclusion, this is a pretty cool looking set that is a must-have for LEGO Harry Potter collectors. 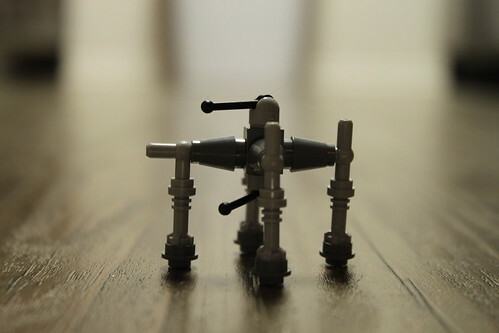 The OG-9 Homing Spider Droid is the item for Day 4 of the LEGO Star Wars 2011 Advent Calendar. 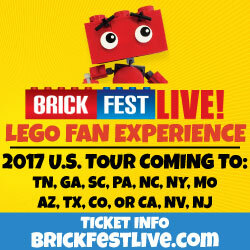 It consists of 21 pieces in the build but LEGO does include some extra pieces in case you lose some. It’s an easy build and a very good replica of the one shown in the movie. For Day 3, we have an interesting item. It is the Mechno-chair used by Viceroy Nute Gunray to communicate with Darth Sidious. The chair has 13 pieces and is pretty accurate to what we see in Star Wars Episode I: The Phantom Menace.